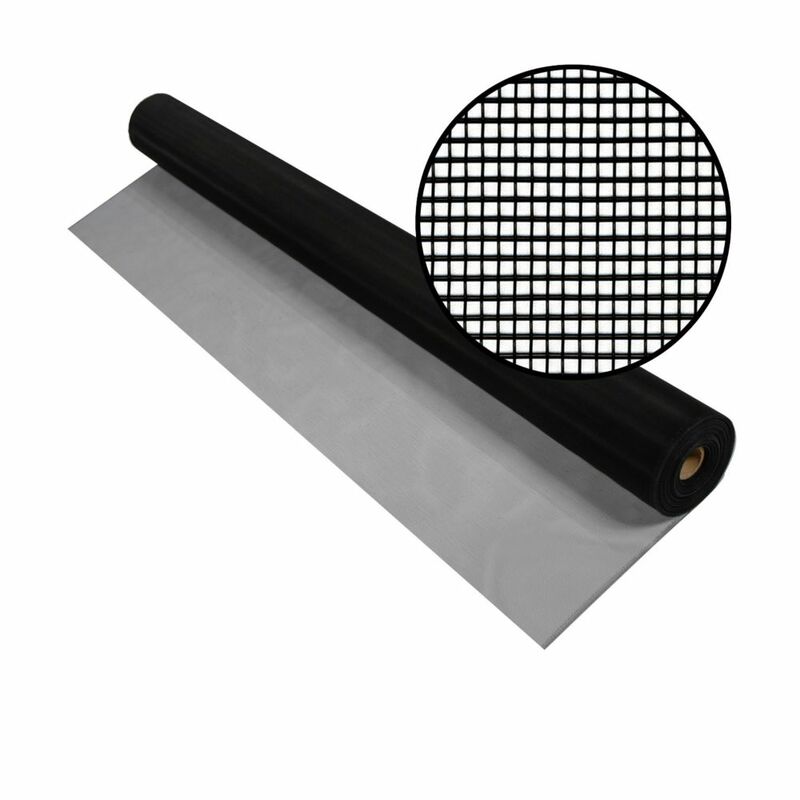 60-inch x 100 ft. Black Aluminum Screen Protecting people from annoying and often disease-carrying insects, Phifer's Aluminum Screen sets the standard for the screening industry's level of quality and dependability with the production of a precision woven and uniform coated screen mesh. Phifer has been supplying aluminum insect screening to the United States and the world for over a half century. Aluminum screening is suitable for all window, door and porch applications and is available in three colour finishes. 60-inch x 100 ft. Black Aluminum Screen is rated 4.7 out of 5 by 7. Rated 5 out of 5 by Tim C from Elegant screening solution So much better than nylon, totally transparent - only downside is that the screen is very easy to kink - I recommend this product totally. Rated 4 out of 5 by Big Easy from Hard to find. Thank you Home Depot Was only available on line with home depot. Shipped fairly quickly but took awhile to arrive. Grateful to have however received an item nobody else had available at a reasonable price. Thanks! Rated 5 out of 5 by TJRock from Practically Invisible If you are looking for a sturdy and long lasting screen material that is practicaly invisible, this is it. I just finished re-screening our back porch with the Phifer black mesh aluminum screen material from Home Depot and am really pleased with the results. It was very easy to cut and to work with (gloves are recommended when handling). Once installed, you cannot even tell it is there! When I was about halfway done installing the new screen, my wife came out on the porch, looked around and asked when I was going to start putting up the new screens. I told her I was already halfway done! The material is so invisible you literally could not tell the difference from the unscreened openings and those with new screen installed. I highly recommend it for maximum view. Check out the view from inside the porch (photo attached). Rated 5 out of 5 by Malk from It's screen. Black aluminum is nearly invisible. It is ideal where you want a feeling of openness. Remember to use screen savers on the doors if there is nothing to alert you it's presence. Rated 5 out of 5 by DL12 from quality product wide width made job go very fast. Color was good. not mutch else say about screening material !! Rated 4 out of 5 by scrny from Three sections ? Looks good, but at 30 some feet into roll is one section. So it appears to be actually three 33 feet sections not a continuous roll, which is probably OK in 95% of situations.